Crowns are integral to Vajrayana ritual practice. Practitioners wear crowns (and the other bone ornaments) during meditations to internally realise enlightened qualities of Buddhas and transform into a fully awakened state. Male and female Buddhas of the Highest Yoga Tantras, the most advanced meditations within Vajrayana Buddhism, typically wear a set of six bone ornaments, which include skull crowns. The ornaments represent the enlightened qualities of six Buddhas (Akshobhya, Ratnasambhava, Amitabha, Amoghasiddhi, Vairochana and Vajrasattva) and symbolise the six 'paramitas' or perfections (patience, charity, meditation, discipline, perseverance and insight) that form the core of Tantric Buddhist methodology (Huntington and Bangdel, cat.105). 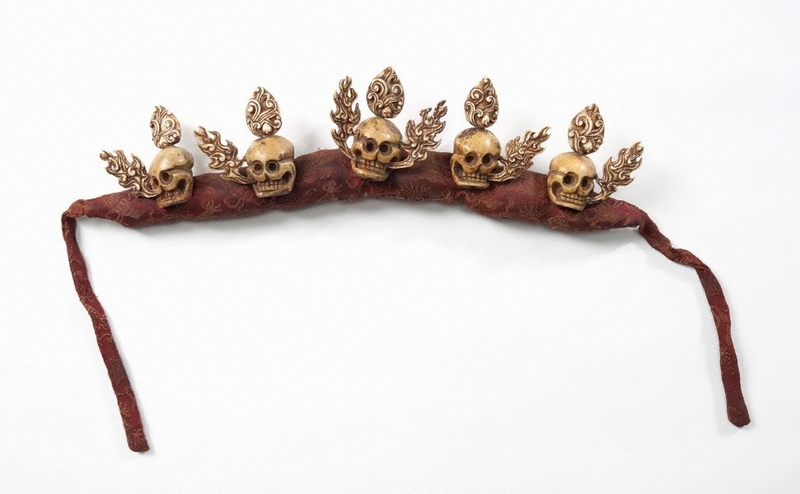 Skull crowns also belong to the set of ‘eight attires of the charnel grounds’ worn by the wrathful deities (for a list of the eight attires and further discussion, see Robert Beer, 'The Encyclopedia of Tibetan Symbols and Motifs', 1999, pp. 316-18). 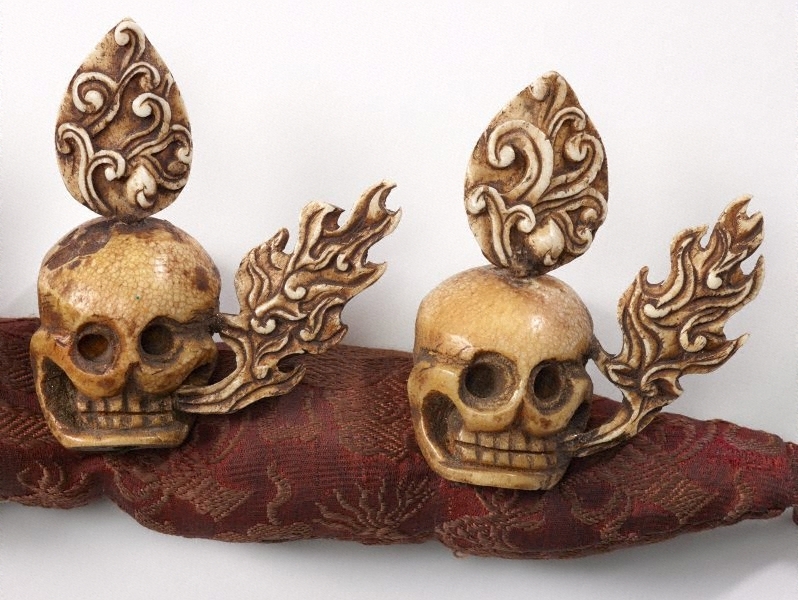 Five-skull crowns, specifically, represent the union of five transcendent insights that constitute enlightenment and the five Buddhas that embody those wisdoms (for a list and discussion of the Buddhas and their corresponding insights, see Jackie Menzies, 'Goddess: Divine Energy', 2006, p. 236).